I really love mashed potatoes. I think they are my favorite way of preparing and eating potatoes. They don't get a lot of praise. They end up being treated like the third wheel in a fancy dinner in my opinion. 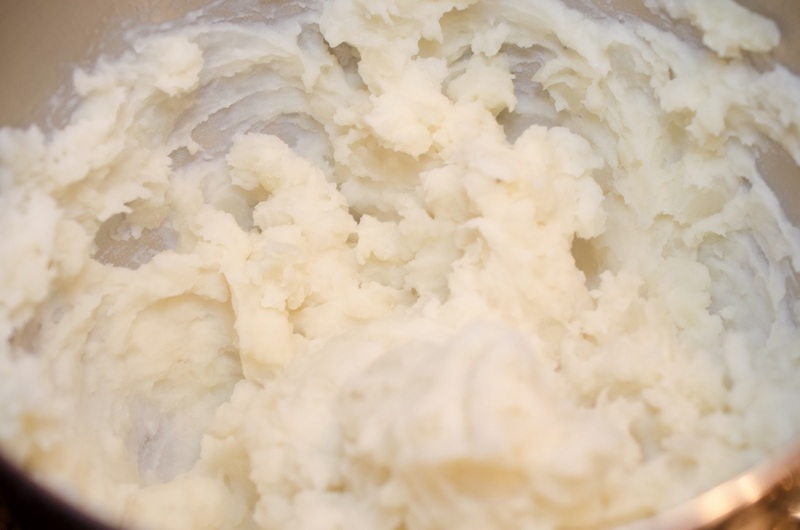 I have made mashed potatoes in a variety of ways, this is just one way to do it. 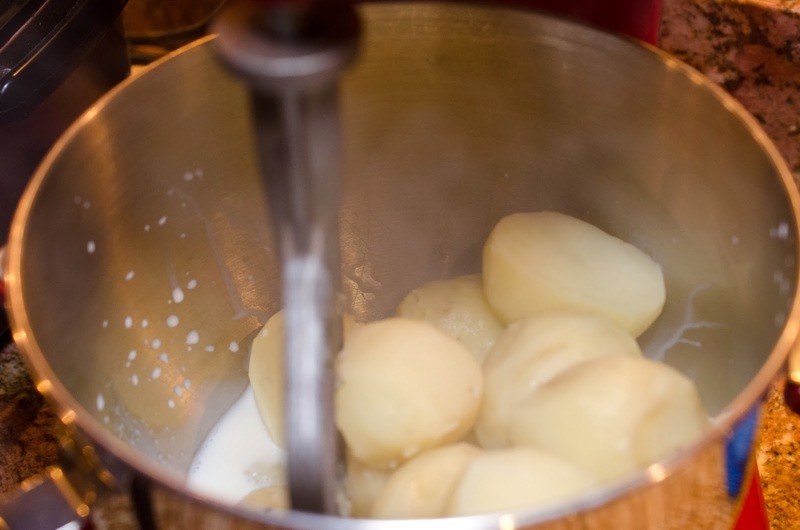 You most likely have a secret family method of making your mashed potatoes. You may go about your business and ignore my way. 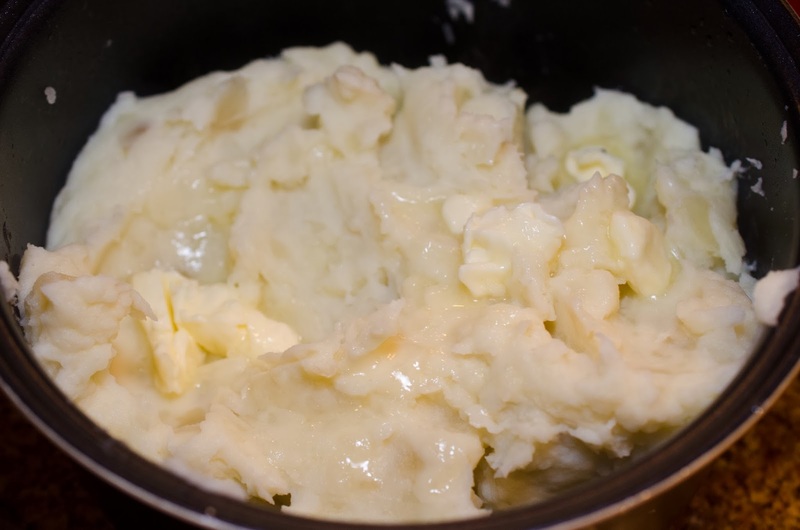 I love mashed potatoes! They are my favorite comfort food. will see the pale looking potato? That is a rock I found in my bag of potatoes. Yes, you heard me. 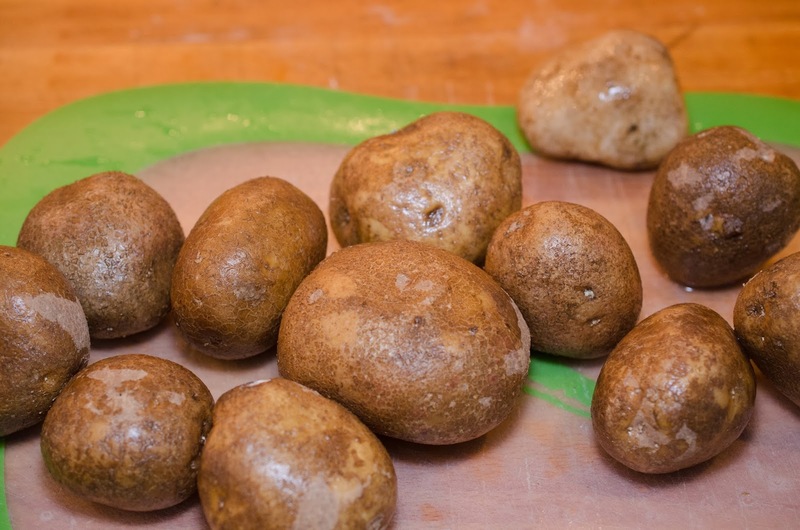 I rinsed my potatoes and found a rock in the bunch. I weighed the rock and it was 10.2 ounces. 1 1/2 inches of water. Set the rice cooker to the steam function for 25 minutes. We now have perfectly cooked potatoes. 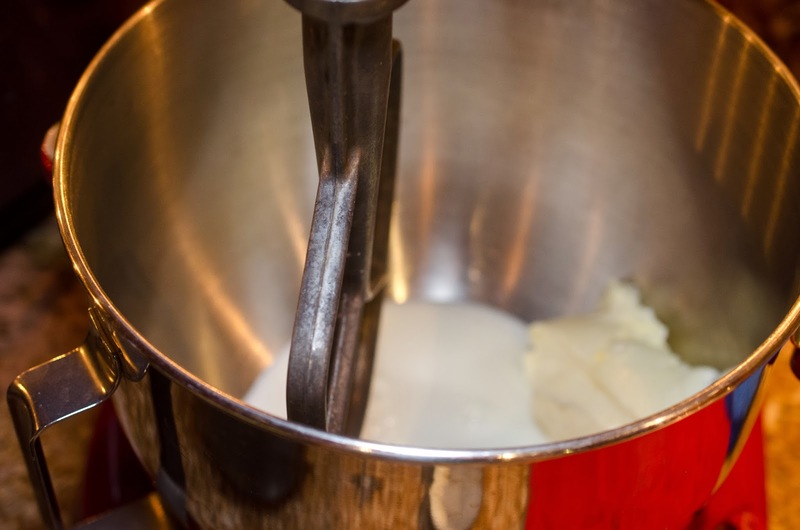 Pour 1/2 cup milk and 1/4 cup butter to a mixing bowl. Attach beater. ricer that made the most wonderful, perfectly mashed potatoes, but I don't have a potato ricer now. steamer set to the warm function and close. 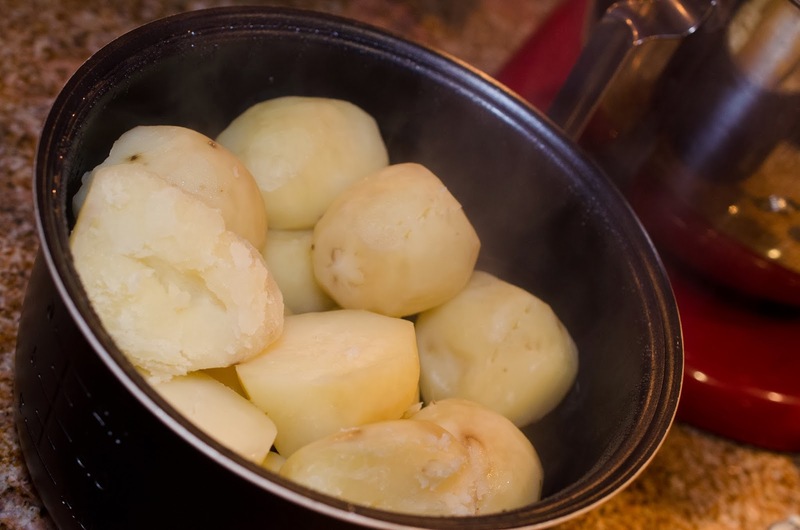 The potatoes will stay warm until ready to eat. 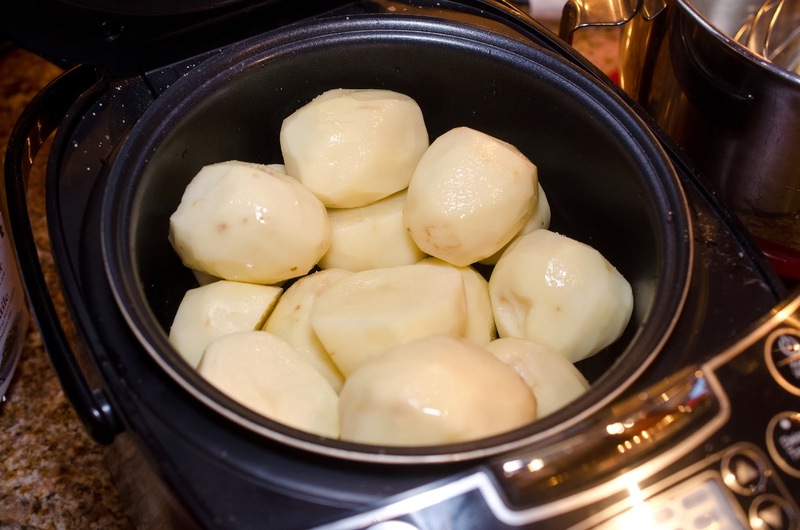 Great tip on the rice cooker being used to steam potatoes!